Built on top of d3.js and stack.gl, plotly.js is a high-level, declarative charting library. plotly.js ships with over 40 chart types, including scientific charts, 3D graphs, statistical charts, SVG maps, financial charts, and more. Contact us for Plotly.js consulting, dashboard development, application integration, and feature additions. and import plotly.js as import Plotly from 'plotly.js-dist'; or var Plotly = require('plotly.js-dist');. and use the Plotly object in the window scope. and use the plotly.js dist file(s). More info here. Read the Getting started page for more examples. Starting in v1.15.0, plotly.js ships with several partial bundles (more info here). Starting in v1.39.0, plotly.js publishes distributed npm packages with no dependencies. For example, run npm install plotly.js-geo-dist and add import Plotly from 'plotly.js-geo-dist'; to your code to start using the plotly.js geo package. To learn more about the plotly.js module architecture, refer to our modularizing monolithic JS projects post. Have a bug or a feature request? Please first read the issues guidelines. These pages are generated by the Plotly documentation repo built with Jekyll and publicly hosted on GitHub Pages. For more info about contributing to Plotly documentation, please read through contributing guidelines. You can also suggest new documentation examples by submitting a Codepen on community.plot.ly with tag plotly-js. Please read through our contributing guidelines. Included are directions for opening issues, using plotly.js in your project and notes on development. Follow @plotlygraphs on Twitter for the latest Plotly news. 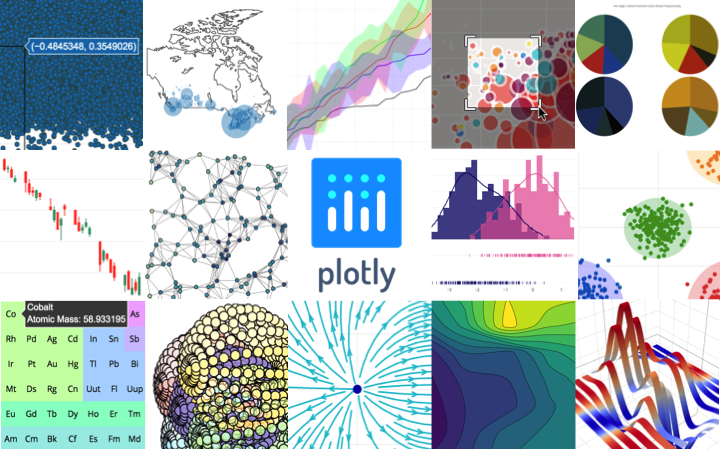 Follow @plotly_js on Twitter for plotly.js release updates. Implementation help may be found on community.plot.ly (tagged plotly-js) or on Stack Overflow (tagged plotly). Developers should use the keyword plotly on packages which modify or add to the functionality of plotly.js when distributing through npm. Direct developer email support can be purchased through a Plotly Support Plan. This project is maintained under the Semantic Versioning guidelines. See the Releases section of our GitHub project for changelogs for each release version of plotly.js. plotly.js charts can also be created and saved online for free at plot.ly/create.